The patent has been published, but not reviewed. 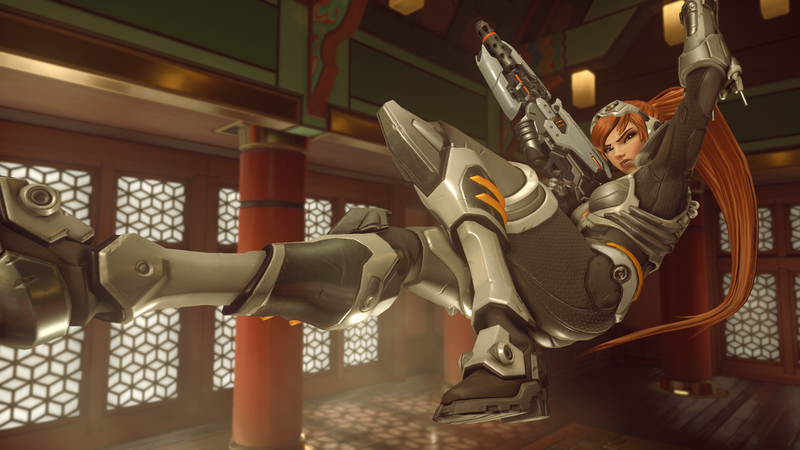 Overwatch developer Blizzard Entertainment wants to patent it’s Play of the Game system. The patent was submitted on Dec. 9, 2016 and published on June 14, 2018—but it has not been granted by the US Patent and Trademark Office. That’s still a ways away; the application still has yet to be reviewed. The last update was in March last year, where it was marked as ready for review. The publication of the application on June 14 was just the expiration of the standard 18-month confidentiality process. Blizzard’s application outlines Overwatch’s Play of the Game system. It records all events that occurred in a match and subsequently score those moments as a “sliding window” is passed over the events. In simplified terms, the top scores are aggregated and one is chosen as the Play of the Game. Blizzard doesn’t appear to be interested in patenting the idea of Play of the Game, but rather how it’s implemented. Overwatch’s Play of the Game system for social media sharing is also targeted in the patent. But again, it’s not the idea of social media sharing for the system, it’s how Blizzard does it. Blizzard is currently working on an overhauled Play of the Game system, the developer confirmed to Kotaku back in 2016. It’s had some updates since then, but the system does still misfire at times. Overwatch game director Jeff Kaplan said Blizzard is considering cooperative Play of the Game moments, which is also laid out in the USPTO application. There’s no indication of when the patent application might be reviewed, let alone approved or rejected—but given how slowly it has traveled so far, it’s likely to be quite a while.